Spayed and neutered: 914 cats, 270 of whom were feral. Of the total number of cats, 523 were female and 391 male. In addition, we spayed and neutered 110 dogs, of whom 62 were female and 48 male. This brings our grand total of animals spayed and neutered in Tillamook County throughout 2011 to 1,024. WOW! 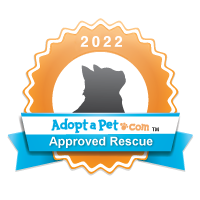 Adopted: 211 cats and 8 dogs through the United Paws foster program. Adoptions: In February United Paws was faced with two potentially difficult adoptions. Three ex-breeder dogs were surrendered to us in bad shape, the oldest being 12, and homes had to be found within 2 weeks. What a challenge! To find a home for an un-socialized 12-year-old ex-breeder female. Nevertheless, with lots of media coverage and extensive networking, all 3 found great homes. A woman died, leaving behind 3 adult cats who would have nowhere to go once her home was sold. 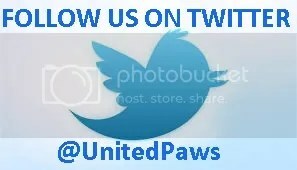 (Once again, United Paws urges everyone to write their pets into their will. Pet Trusts have been legal in Oregon since 2006 … so what are you waiting for?) Again, a challenge to find 3 adult cats homes in a hurry when we already had so many in foster care. With much media coverage, the two Manx brothers were adopted together, leaving only one, a beautiful cat but not any special breed like the Manx brothers. But in the nick of time she also found a good home. Yet another situation involving 9 adult cats arose. The lady who had been caring for them died, and again United Paws was given a 2-week deadline to find homes. Somehow we managed, although one still remains in foster care. United Paws really dislikes these sudden ad hoc, “You have to take these animals, or else” problems. With a little planning, these situations should not occur ever. If you love your pets, make sure they’re taken care of when you die by writing them into your will. And if law enforcement would crack down on backyard breeders, who invariably are cruel to their animals; hoarders, who also threaten public health; people who abandon their pets, which is against the law; and other animal abusers, that would go a long way to helping ease our burden. There simply is not a culture of taking animal abuse seriously in Tillamook County, despite all our years of effort in the community. In June, we held our first Adoptathon in Garibaldi at the museum. Thanks to museum staff for thinking of us! Special events: United Paws partnered with CARE in Project Homeless Connect. (CARE is the county’s nonprofit that helps the homeless and financially disadvantaged.) The event included pets of the homeless. United Paws volunteers worked with veterinarian Dr. Johansen to provide exams, inoculations, and toe nail clipping. United Paws set up appointments for spay/neuter and health care for up to 30 dogs and cats to be provided by local vets and paid for by UP. Pet food was given to all thanks to UP funds, along with collars, leashes donated by the local sporting goods store, and even toys donated by United Paws. This was a successful and rewarding event that fulfills United Paws’ mission. We plan on participating again in this event in 2012. We started a new “A Trip to Snip!” program, whereby volunteers pick up and deliver back the pets of those who have no access to transportation. Their pets are spayed or neutered and treated for parasites and inoculated, if necessary. We received a substantial grant from a foundation to do this work. We spayed and neutered 631 animals throughout the year under the “A Trip to Snip!” program. In August a number of volunteers gave up a Sunday to journey south to Newport for an all-day seminar on how to make shelter animals more adoptable. Only 15% of pets in U.S. homes are adopted, so the “Adoption Options” seminar, sponsored by United Paws partners PETCO Foundation and Petfinder.com, was held to help rescue organizations improve pet adoption rates. After working its tedious way through the legal system for over a year, a bequest was finally handed over to United Paws in the form of the Helen Hunter Trust, which we now administer. The deceased’s will was badly worded, so we had to prove to the executor (who had recommended United Paws receive the bequest), lawyers, and a judge that the deceased’s intent matched United Paws’ mission statement. We did so successful, and funds have now been invested in socially responsible funds, avoiding animal exploitation, with TLC Federal Credit Union, Tillamook. We are very grateful to the late Helen Hunter of Manzanita for her generosity toward the needy cats and dogs of Tillamook County. TLC Federal Credit Union once again generously paid for our general liability and board insurance, thereby enabling us to spend donations directly on the animals. TLC Federal Credit Union also sponsored advertisements in the Headlight Herald, helping us adopt more animals. Fundraising: In March, a young girl in Nehalem opted for gifts to United Paws for her birthday rather than more “stuff.” She handed over food and cash for Tillamook’s needy animals. In April, we raffled off 3 gorgeous prizes donated by local supporters: a quilt, a hand-crafted pottery bowl, and a cat photograph. June saw us benefiting from Yappy Days, a fun time for dogs at Cape Kiwanda, with proceeds split between United Paws and TAS. The publicity in south county was particularly beneficial, and we thank the Inn at Cape Kiwanda for thinking of us for Yappy Days. The annual Muttzanita at Manzanita celebration of dogs having fun at the beach was held again in August and again was a great success – United Paws made more new friends and much-needed funds, thanks to Four Paws on the Beach, Manzanita. This year a new event featured a “decorate your own dog bowl” contest, which enabled us to partner with the vibrant local artist community of north county. We were present at the Tillamook Farmers’Market, thanks to Wilson River Pottery who had a booth there all summer. They showcased a handmade pottery bowl and a quilt donated by a supporter, both for raffling to benefit the needy cats and dogs of the county. In November United Paws once again took advantage of the local utility company’s offer to place an envelope-sized flyer about our work into their bills. We pay only the cost of printing, not postage, and reach 17,500 PUD customers in this way. United Paws again participated this year in the “Alternative Christmas Fair” in Manzanita. Another chance to make new friends and receive generous donations. December saw Santa Paws having his photo taken with good pets at Four Paws on the Beach. Once again the proprietors of this up-market pet boutique in Manzanita support United Paws by donating all proceeds from the photo op to United Paws. One dog visited from North Carolina, so United Paws can say we’ve gone national now! Media coverage: North Coast Citizen (NCC), Jan 27-Feb 9, featured the very first north county feline Adoptathon on its banner on the front page. A huge article appeared inside. Our thanks to veterinarian Dr. Matt Didlake for providing the venue for this event in his new, gorgeous clinic on the river in Nehalem. Other media made much of this new north county event and the long awaited arrival of a veterinarian to north county. A new pets column writer at The Oregonian proved a good friend to United Paws. In her March column, she listed groups that could help with the pets of the homeless; all other groups listed were Portland-based except for United Paws of Tillamook ! In July, we were featured again on OregonLive.com when a cat with cancer was adopted by a local couple who had survived cancer themselves. Chuck the cat turned up in a feral cat colony, but United Paws volunteers soon realized he was no feral. He had a hideous growth on his neck. Examination at the veterinarian’s revealed this was cancer. The cat was probably around 7 years old, and his legs were bowed from arthritis. Now what saint would adopt such a cat? Enter a couple who’d already adopted from us before and said Chuck just looked like their other cat – could they be long-lost relatives? When the couple discovered Chuck also had cancer, that clinched the deal because they, too, were cancer survivors and adopted him as their Relay for Life mascot. In December, the Oregonian website picked up United Paws’ warning about salmon disease, published by our local media. Salmon disease, or poisoning, is a fatal disease dogs in the north-west can succumb to by merely slurping up a fluke contained in the blood of any fresh water fish. Salmon are particularly dangerous because of their die-off after spawning. Not all fish have the disease, but if you visit beautiful Tillamook County and a week later, your dog seems unwell, get him or her to a veterinarian immediately. Your vet may never have even heard of salmon disease because it occurs only along the northern Pacific Coast from California to Alaska. Tell the vet to check for swollen lymph glands in the back legs and high temperature. This could be salmon disease. A good dose of antibiotics (Tetracycline) should fix the dog; if left untreated, the dog will most likely die. United Paws would like to see notices about salmon disease at all state parks and in all rental agencies and homes that allow pets.